Vibration and noise isolation systems. VIBRACHOC provides sale representatives and distributors in Spain in order to offer personalized attention and the best solution within the following sectors: Industry, Construction, Rail, Navy, Defense and Aeronautics. 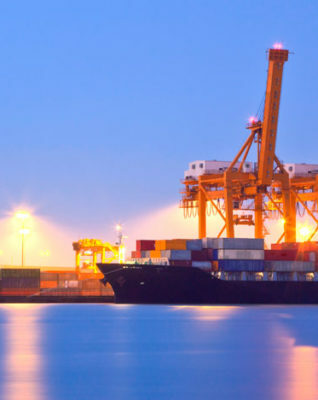 A constant stock is maintained to approach the immediate availability of the product to any part of the country. VIBRACHOC has a wide range of products and, in turn, it offers the following catalogues: Metal Mountings, Flexible Mountings, Flexible Bushes, Flexible Couplings and Dynamic Sealing. Vibrachoc was founded in 1953 and it has been set in Spain since 1973. VIBRACHOC-PAULSTRA has its central offices in Madrid where, in turn, part of the production is made. VIBRACHOC has been part of HUTCHINSON Company since 1994. 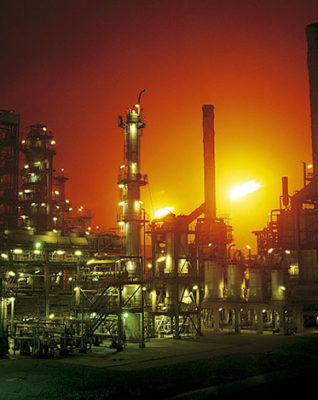 HUTCHINSON, the world-wide leader in the production of tire, belongs to Total Company. 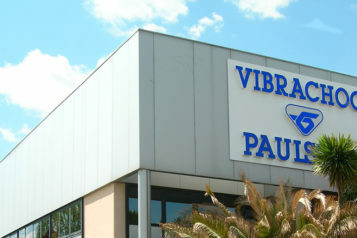 The association between Vibrachoc and Paulstra within the same company makes possible that the industrial technical and commercial potentials of both join together so the individual capacity reinforces in order to contribute to excellent technical solutions such elastomer, metal cushion, shock absorber, composite. The head office is set in France and production centers are set in Lisses and Ètrépagny (I+D) and head offices are set in Paris (Levallois). This association places VIBRACHOC-PAULSTRA in an undisputed situation and it is a leader within the field of anti-vibration and acoustic with a distribution network of more than 500 point of sale and more than 50 agents distributed worldwide. PAULSTRA has affiliates in Germany, United Kingdom and EEUU. The EVIDGOM® support can be assimilated to two thick conical membranes. The EVIDGOM mounting is formed from two thick conical membranes, joined at their bases to create a highly elastic mounting. – EVIDGOM with bonded fixing. – EVIDGOM with a diamond or square mounting plate (fixing plate supplied as a separate kit). 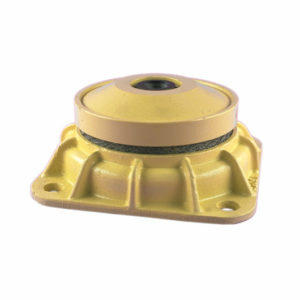 Anti-vibration decoupling for fixed equipment. – Better than 90% isolation at 1.500 rpm(25 Hz). – Constant height over wide load range. – Stabilised characteristics during Service Life. – 400 hours protection against salt spray*. 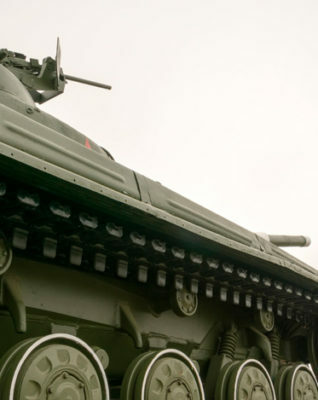 It is formed by a rubber ring attached to two metal reinforcements. The STABIFLEX mounting comprises a conical rubber section bonded between inner and outer metal parts. – Centre axis with threaded hole. – Square (4 holes) or diamond base (2 holes) with clearance hole. 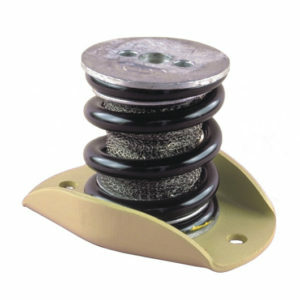 – Bonded natural rubber, anti-slip bead. – Cup to protect the rubber and distribute the load. A range of complex materials designed to provide the best acoustic isolation. 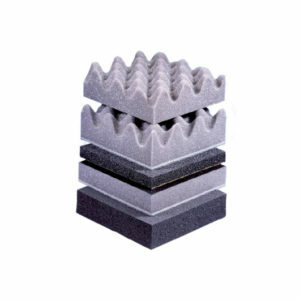 STRASONIC is a range of complex materials designed to provide the best acoustic isolation. Their structure is based on polyurethane foams or cellular rubber. Their main function is to reduce airbone noise (Isolation, Absorption and Damping) in partial or complete enclosures of machinery. 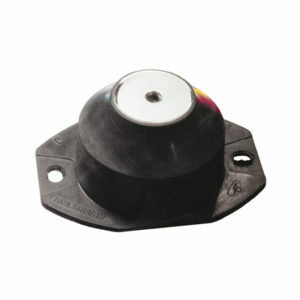 The 7002 damper has a satin finish treated AG3. 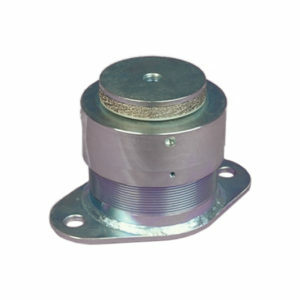 The 7002 damper has a satin finish treated AG3 casing and mounting plate, a stainless steel centre axis. 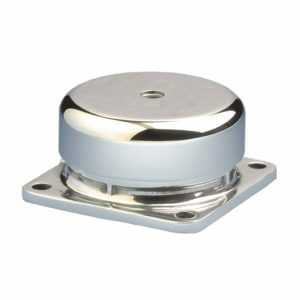 A spring and stainless steel cushion provide the resilient elements. 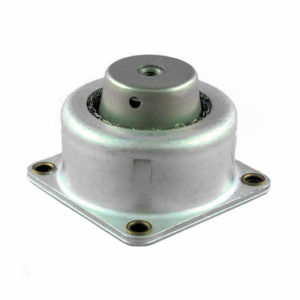 It has four Ø 5.2 mounting holes in the base and a tapped hole in the centre axis. Have cast iron cover and base with 4 mountings holes in the base. V118-MG and V318 mountings have cast iron cover and base with 4 mountings holes in the base and a central tapped hole in the cover. – V118-DG and V318-D have three cushions. 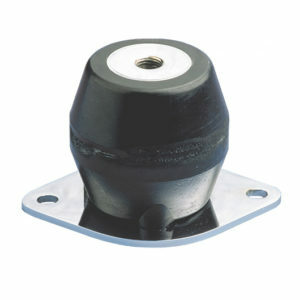 This range of mounts has one or two steel mounting plates depending on the model. Metal shock absorber, low frequency, with semi-elastic retaining. Metal shock absorber, low frequency, with semi-elastic retaining divide by means of metal mesh. Industry, Construction, Rail, Navy, Defense and Aeronautics. Our insulating and antivibration products can be used in all types of industrial machinery. 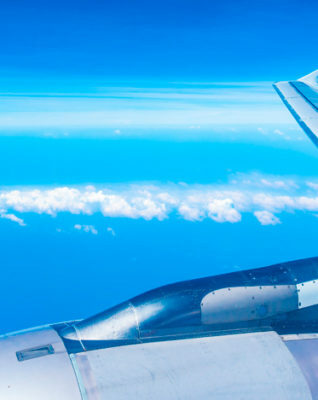 VIBRACHOC has developed a wide range of mountings and shock absorbers for civil aviation and military aviation. Pipe suspensions by means of shock absorbers in order to avoid the structural noise transmission. By land, sea and air, it’s a question of minimizing the negative effects of vibrations and shocks against vehicles and sensitive equipment. VIBRACHOC S.A se funda en el año 1953 y se implanta en España desde 1973 como parte del Grupo Alstom. VIBRACHOC-PAULSTRA tiene en Madrid sus oficinas centrales en España, donde a su vez, se fabrica una parte de la producción. Tradicionalmente la realización de suelos flotantes y losas antivibratorias con el fin de eliminar vibraciones y ruidos estructurales, han estado sujetas a criterios de desarrollo mediante el uso de fibras minerales, pads elastoméricos, compuestos de corcho, etc. 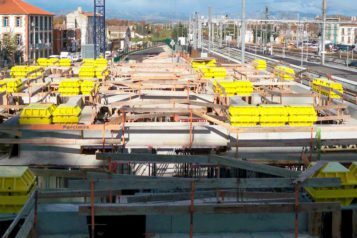 Proyecto de Suspensión Antivibratoria y Antisísmica del edificio de un Hotel en la nueva estación del TGV en Perpignan de Vibrachoc. 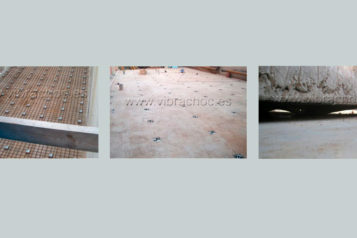 VIBRACHOC has a wide range of products for vibration and noise isolation systems. VIBRACHOC-PAULSTRA is an undisputed leader in the field of antivibration and acoustics, with a distribution network of more than 500 points of sale throughout Europe and more than 50 technical agents spread all over the world.